Darren Aronofsky’s Noah was released on March 28. Widely anticipated, but with many critics cautious about its cinematic clout at the box office, the wait is over and the result is underwhelming. Instead of a clear account of the biblical epic, we have a mish-mash of many of the Noah/Great Flood narratives from across the world. Instead of some acceptable creative license for an admittedly lean story, we have—for all intents and purposes—a completely new story that cannibalizes its origin. Instead of the anticipated return of the “biblical epic,” we have a part-sci-fi, part-60s nature documentary, part-silhouette puppet, part-psycho-thriller, and part-bleak apocalyptic yarn. Noah, rather than the wise, faithful, strong prophet who spoke for God, was merely a delusional psychotic. And Methuselah, reported to be the oldest living man ever to walk the face of the earth, was reduced to a comical bit-part, as a berry-picking hermit. 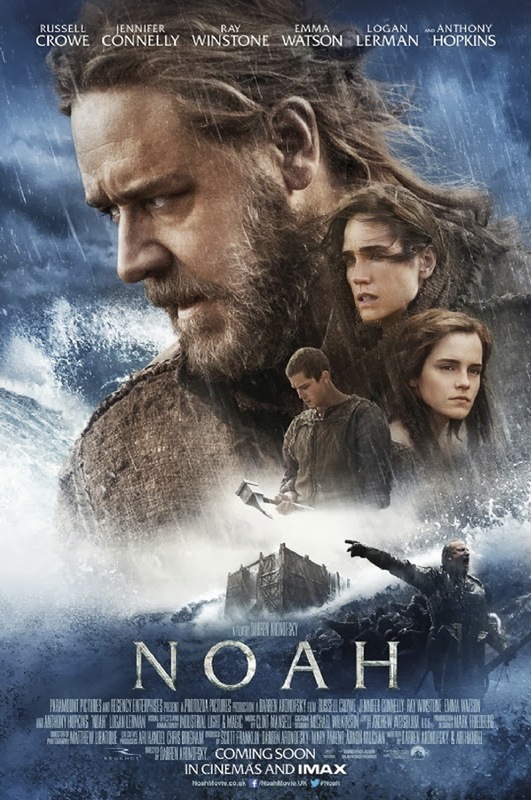 With its multitude of mixed messages, Noah was either an attempt to pander to all religions and cultures, including atheists, or the filmmakers were too afraid to pick one version of the story and stick to it. God was called “The Creator” throughout as a nod to Creationists, and the message for them appeared to be that nature was in control, possibly through a creator. Darwinism and “survival of the fittest” was introduced in an attempt to appeal to the scientific atheists, and the message was clearly that the fittest will survive, and that God, if he does exist, is a killer and not to be followed but rather, ignored. There was enough mention of Judeo-Christian elements to suggest they were also trying to please that base, but clearly they were not the main audience as they brutalized the traditional story and for the life of me I cannot see how any one particular group can come out of this pleased with the results. I suspect the familiar, faithful Noah was made a murderous madman in an effort to create a storyline for strong women to emerge from. But in truth, even the women still end up being the subject of infanticide, are left to die and ultimately, are only secondary characters. The cinematography is both bold and bleak, helping contrast the old world to be destroyed with the new world to emerge. The acting is acceptable but never outstanding, and while an expert might consider the special effects to be technically superb, I was never really wowed. And neither the cinematography or special effects were enough to save this cinematic ark from sinking. So you ask me – should you go see Noah?